Here’s a situation I’ve come across all to frequently. You get to the end of the project, everything seems good, all your points are in order, nothing but smooth sailing from here on out. But what about that often overlooked construction pre-requiste, SSp1 Construction Activity Pollution Prevention? The Badger has noted before what one of the more frequent review comments is. But here’s another kicker – making sure you have corrective action reports. 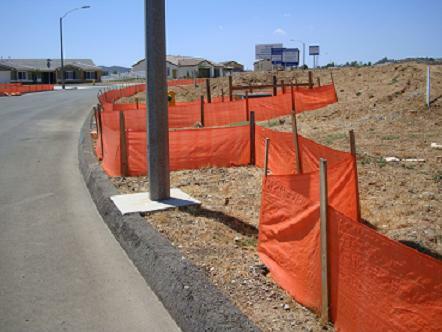 It isAcme Co. recommendation to provide additional stabilization (matting and grassing) along the slopes other detention basin in order to prevent further erosion and rutting. It is Acme Co.s recommendation for General Contractor to provide the necessary maintenance at the northeast corner of the site to prevent sediment from escaping off-site. It isAcme Co. recommendation to clean out the built up sediment along the silt fence at the northeast corner of the site. It isAcme Co. recommendation for the contractor to strip all weeds from the ground surface prior to placing new grass seed and sod. It isAcme Co. recommendation for the contractor to clean up any trash debris around and within the detention basin. Now the Badger is commenting on whether the local jurisdiction or permit requires all items to be addressed or not, but the worry is that USGBC reviewers look to see if issues are noted AND if they were addressed. We’ve seem some reports that have carried issues repeating on every single inspection report – and if that is the sample you’re submitting for the review, you better be expecting comments back. Since this is the only prerequiste that is required from the GC, you should take extra care to address and document any deficiencies that are pointed out in inspection reports. What are your thoughts?